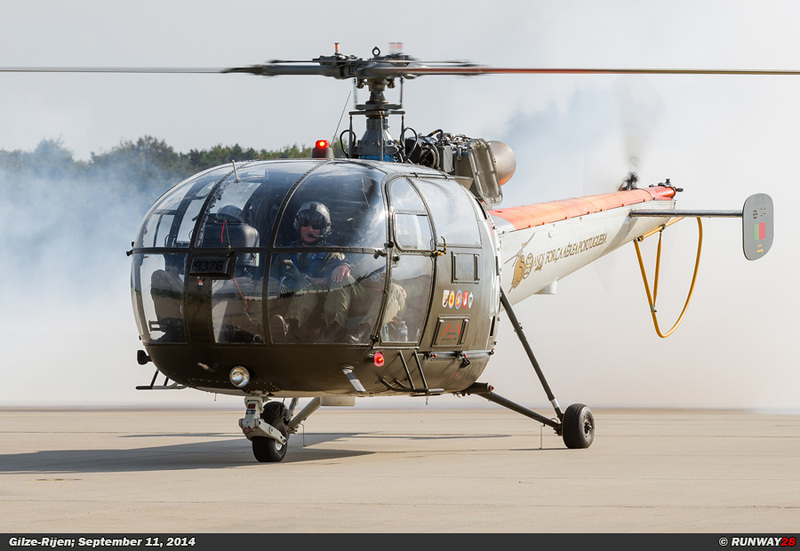 This year the 50th anniversary is celebrated of the Allouette III helicopter. 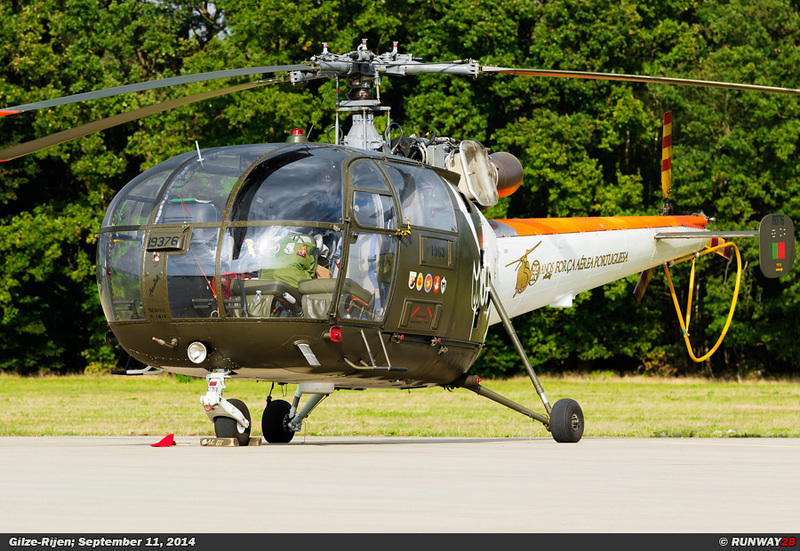 The Allouette III was in the 60s and 70s the main helicopter in the Group Light Aircraft of the Royal Netherlands Army. 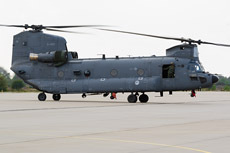 There were a total of 77 helicopters purchased of which four of them are still in use at the no 300 Squadron at Gilze-Rijen Air Base. The Aérospatiale Allouette III is a light single-engine helicopter which was originally produced by the French company Sud-Aviation. The Allouette III was developed from the Allouette II. 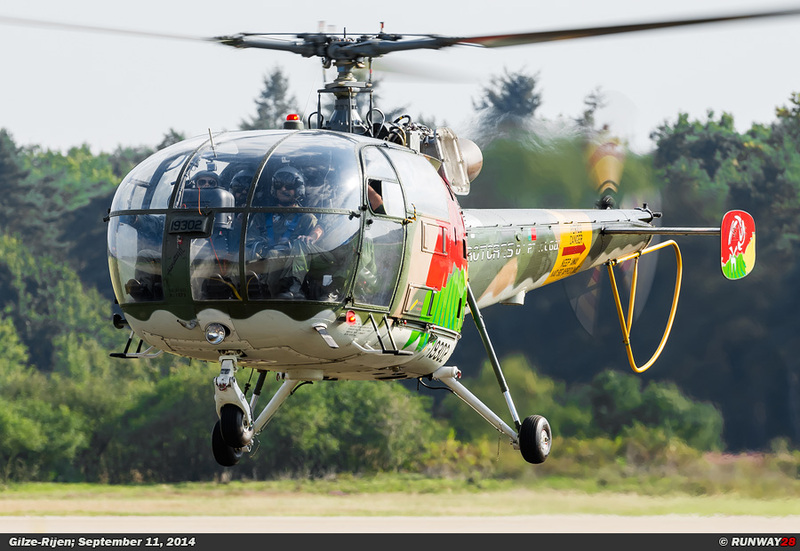 The prototype of the Allouette III was the SA3160, which first flew in February 1959. 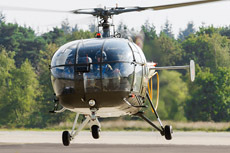 One of the features of the helicopter is the characteristic metallic sound which is produced during the flight. 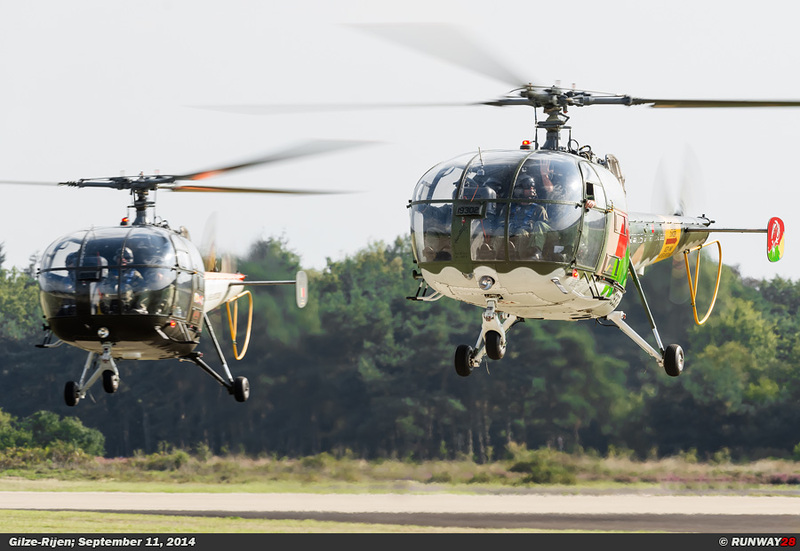 Between 1962 and 1969, more than 77 helicopters of the type SE3160/SA316 Allouette III were delivered to the then Royal Netherlands Army. 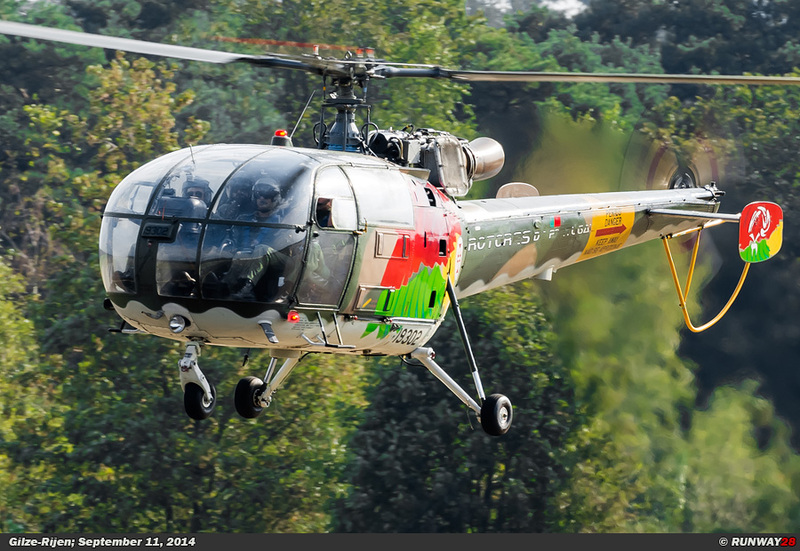 Of the 77 helicopters, 27 helicopters were assembled by the Lichtwerk NV in Hoogeveen the Netherlands. 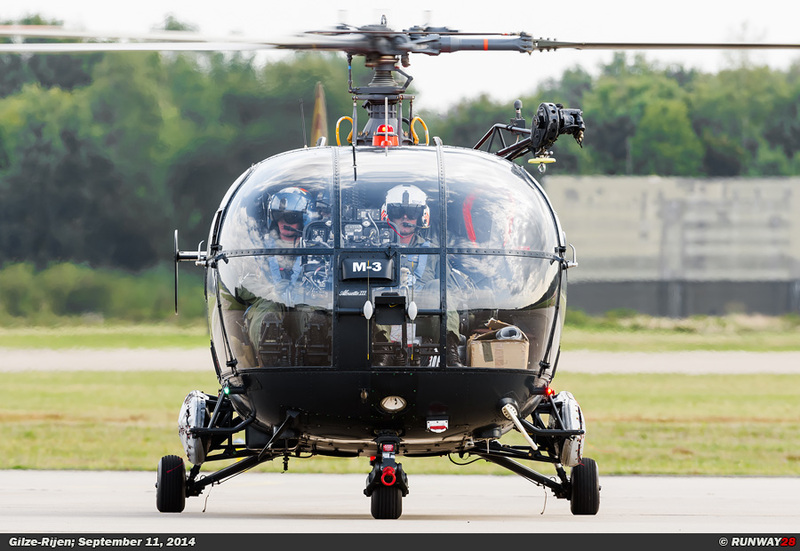 The helicopter replaced the outdated Hiller H-23B Raven. All Dutch Allouette IIIs were painted in a uniformly dark pattern. 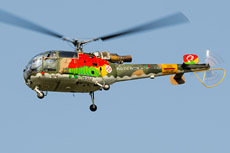 From 1982, a black brown camouflage scheme was used on the helicopters. 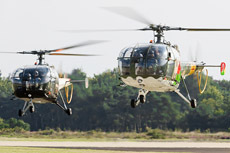 The helicopters were stationed at Deelen Air Base at the no 299 Squadron and the no 300 Squadron and Soesterberg Air Base at the no 298 Squadron. 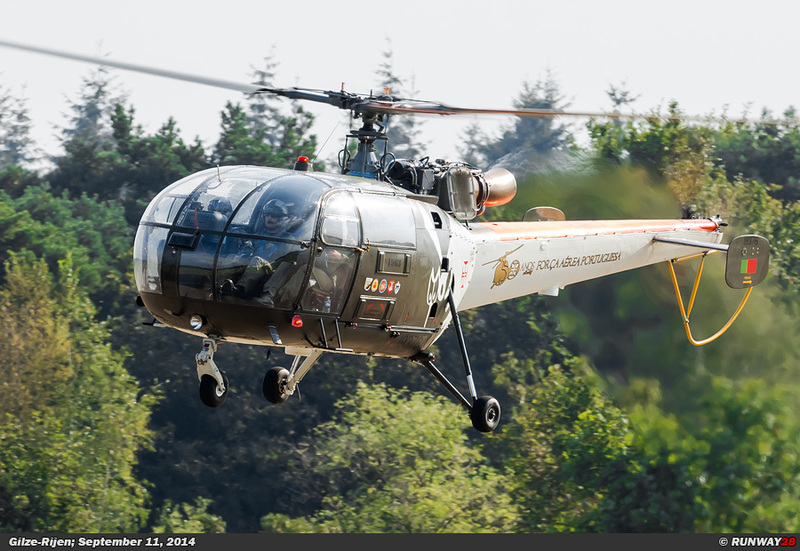 The Allouette III helicopters were purchased by the Royal Netherlands Army. 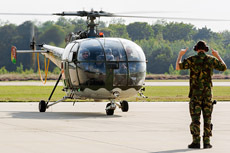 Maintenance personnel, the pilots and the facilities were provided by the Royal Netherlands Air Force. The army units were placed at the beginning of the 60s in the Light Aircraft Group (Groep Lichte Vliegtuigen, GPLV). The GPLV was previously equipped with the Piper Supercub and the De Havilland Canada Beaver. 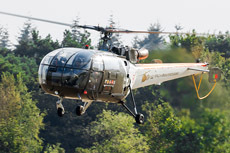 These aircraft which were used by the Army for reconnaissance and artillery fire control were replaced by the Allouette III; the observer was almost always from the army. Squadron at Deelen. The helicopters were painted in a red-white-blue color scheme and built up an excellent reputation within a few years. 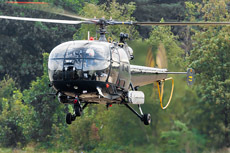 In the air show season the flying skills were exhibited throughout Europe. 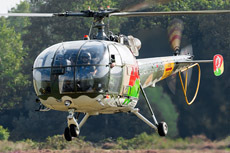 The composition of the pilots of the Grasshoppers changed annually. 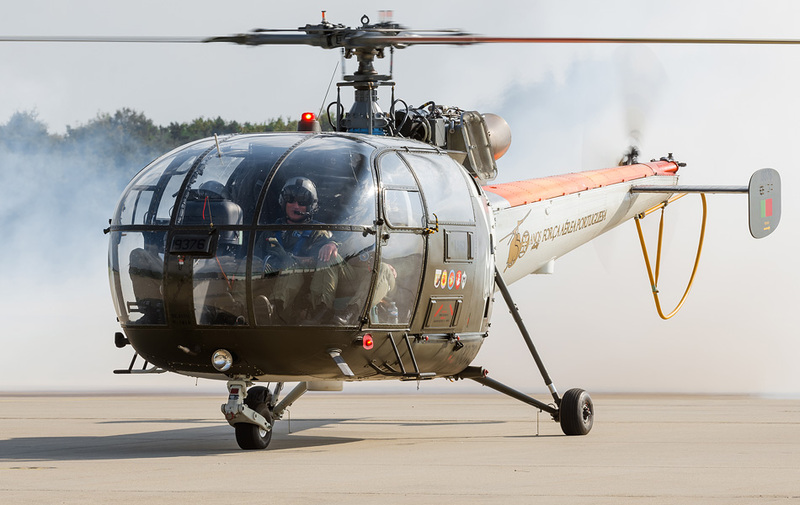 The Grasshoppers won several prestigious awards and inspired several foreign armed forces to set up a helicopter demonstration team as well. During their highlight days the team even received formal invitations from countries like the United States and Australia, but these were rejected due to logistical and budgetary reasons. The crews of the helicopters flew ordinary missions and training flights for the Dutch Defense in the winter days. 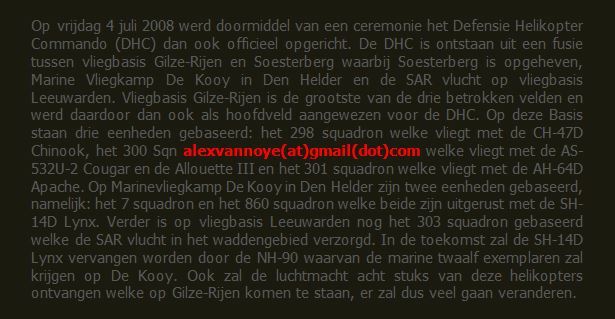 After the phasing out of the largest part of the Dutch Allouette III fleet in the 90s, it was decided to disband the famous display team. 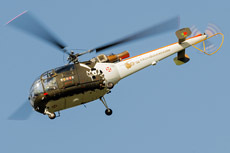 Five of the 77 delivered Allouettes were owned by the Royal Netherlands Air Force. 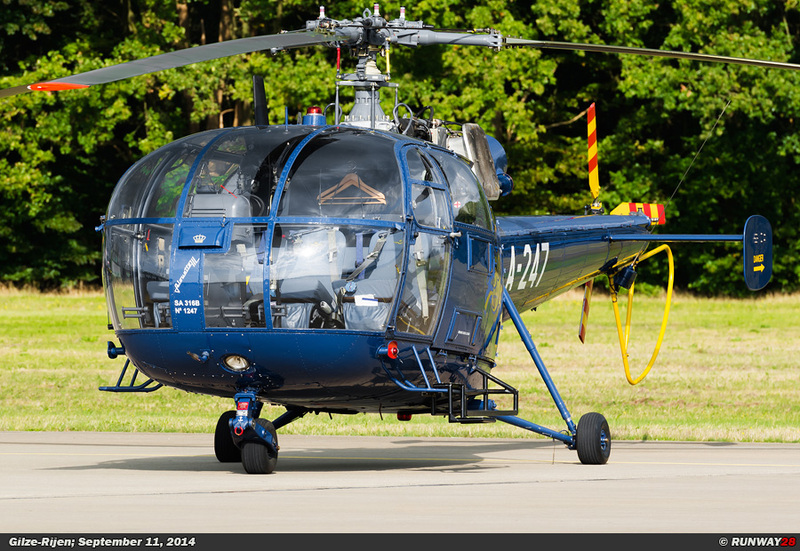 The helicopter replaced the outdated Allouette II which was used from 1959 for the Search and Rescue task. 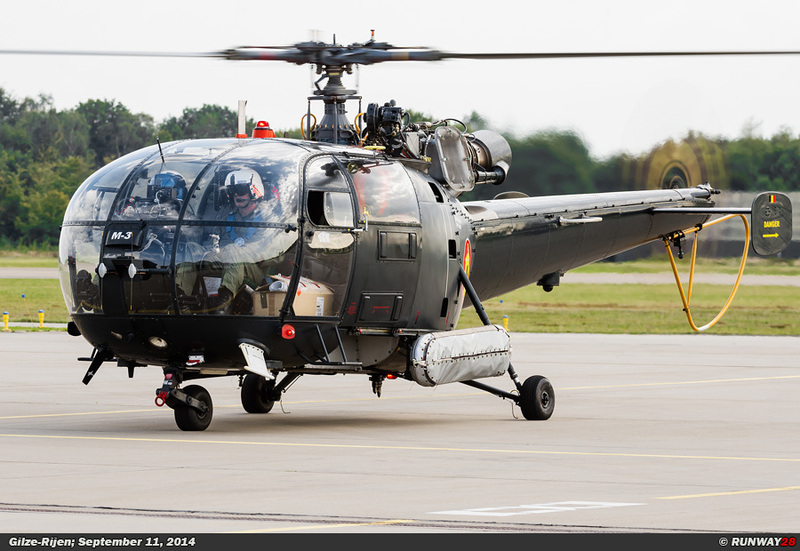 This SAR helicopters were equipped with inflatable floats to the landing gear and a winch to hoist for operations at sea. 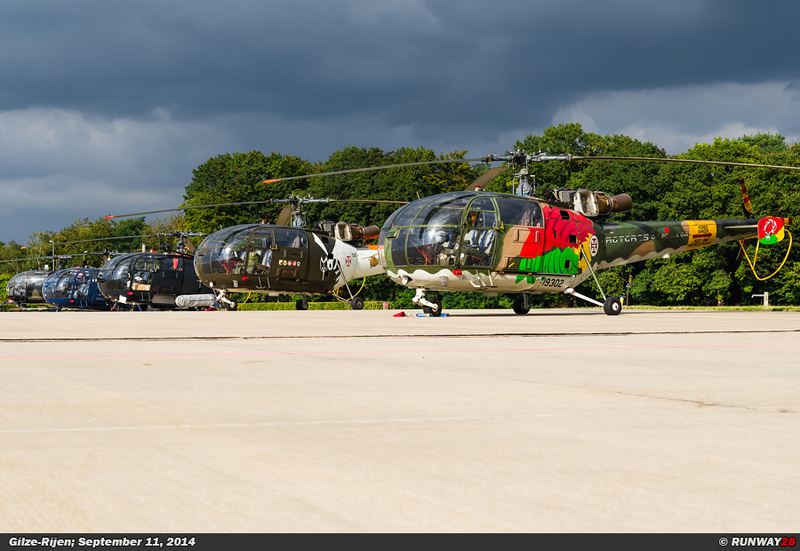 These helicopters were compared with the operational Army helicopters painted in a bright orange color. 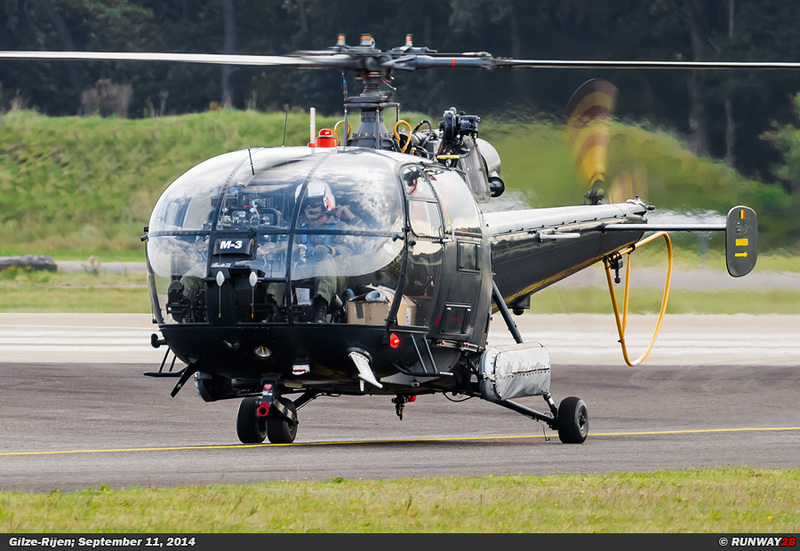 The SAR helicopters were operating from Leeuwarden Air Base and the heliport in Terschelling. 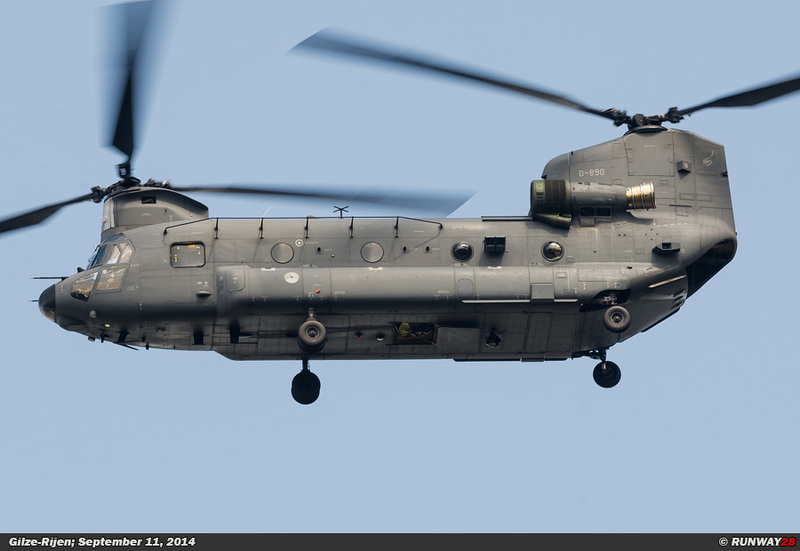 At these locations, the helicopters were ready to save crashed pilots at sea. 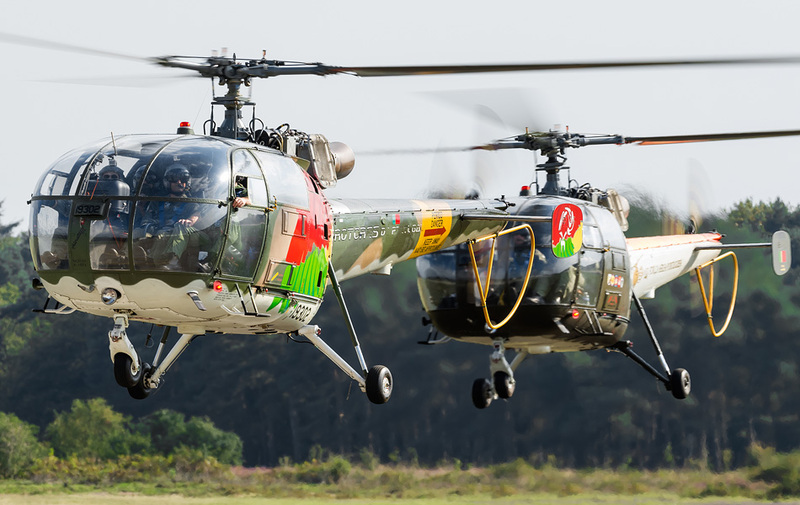 The helicopters had to pick up pilots regularly in the past, because there are regular fighters crashed in the Wadden Sea and the North Sea. The reason for the crashes in this area was the Cornfield shooting range at Vlieland and the Jackpot range in the Noordvaarder. Also located above the North Sea at the north of the Wadden Islands are the Temporary Reserved Airspaces (TRAs). In these areas air fights between NATO fighter aircraft take place for training purposes. 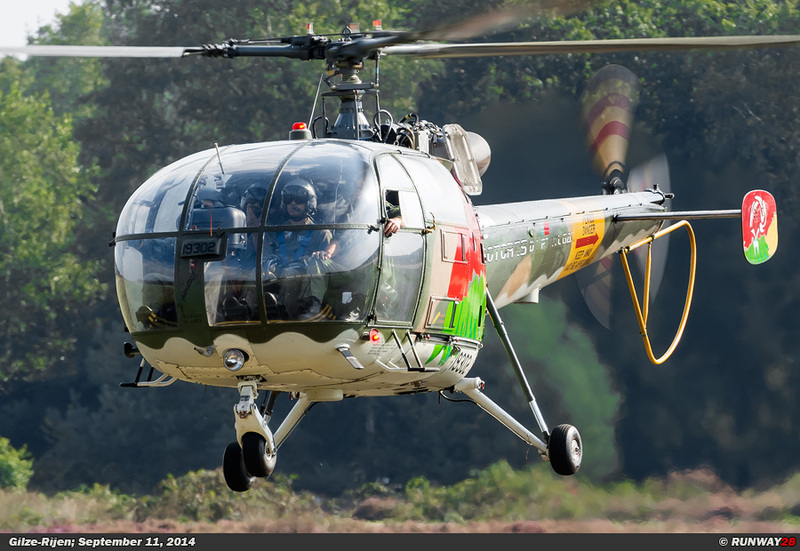 During military exercises there was always standard a SAR Allouette in the air. The SAR Allouettes were often used to transport patients from the islands quickly to a hospital on the mainland. 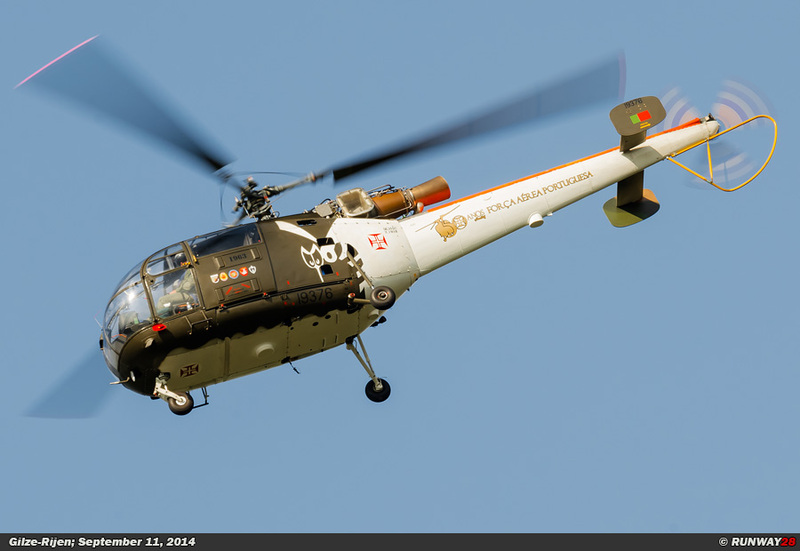 The SAR Allouettes were equipped with a VHF radio to contact ships in the area. 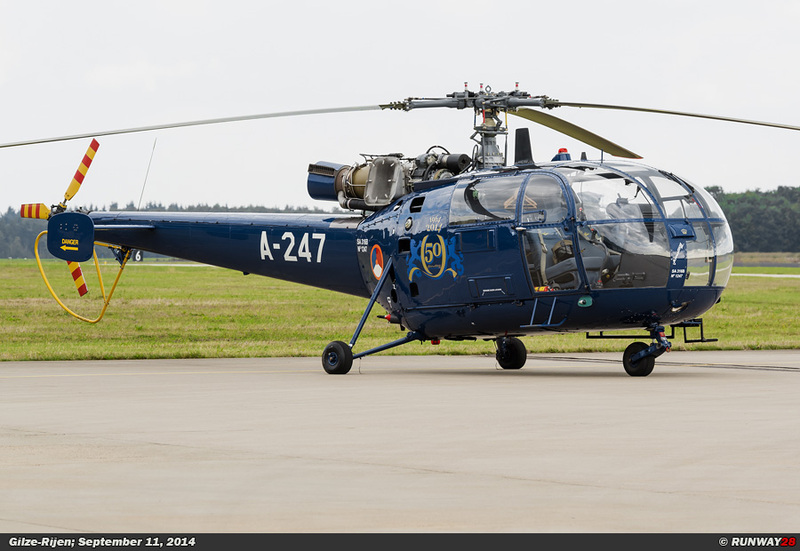 In the 90s, the SAR Allouettes were replaced by the bright yellow AB-412SP SAR helicopters at Leeuwarden Air Base. 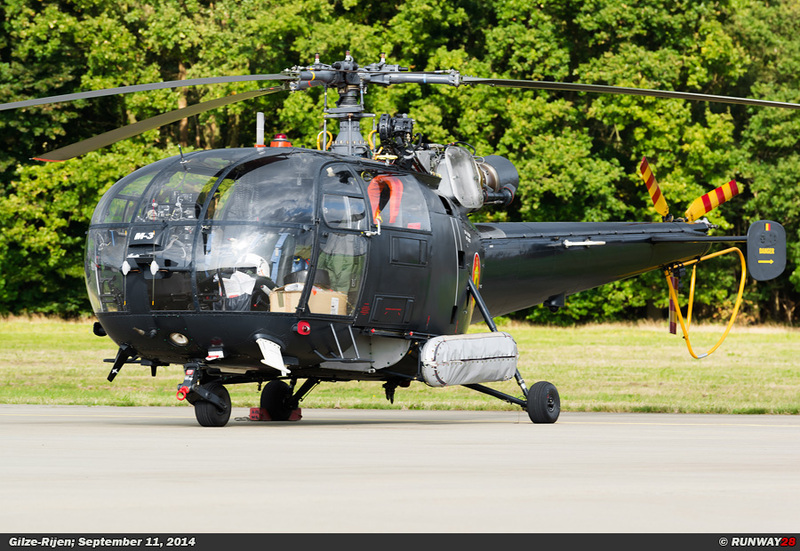 The phasing out of the Allouette III was already planned in the Netherlands in 1986. 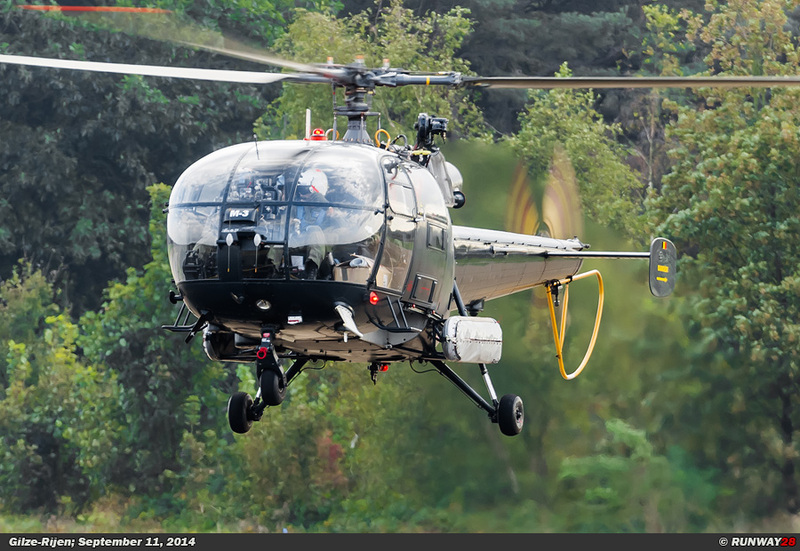 From that moment a study began to replace the operational Allouette IIIs by a new type. 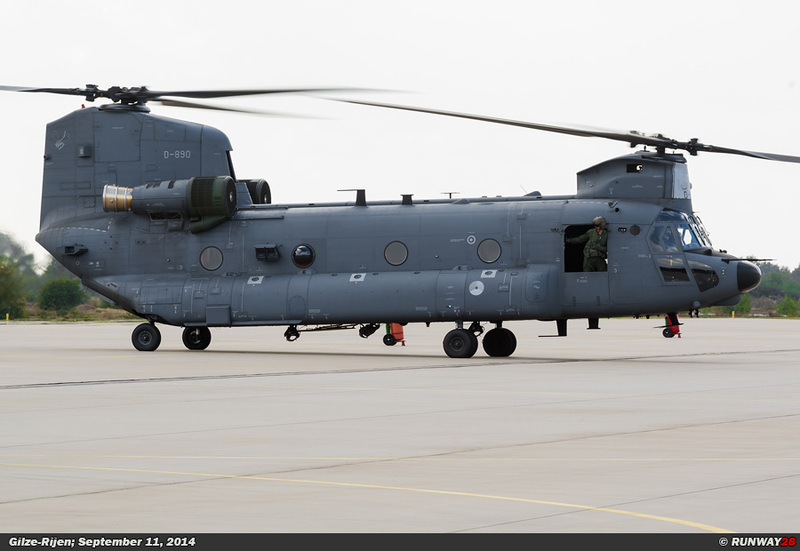 In 1995, the CH-47D Chinook was purchased for heavy transport tasks at the no 298 Squadron. 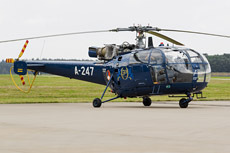 In 1996, also the AS532U2 Cougar was delivered to the Royal Netherlands Air Force. 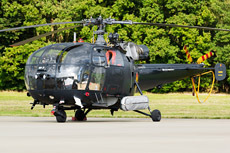 The Cougar was going to replace most of the Allouettes at the no 300 Squadron. 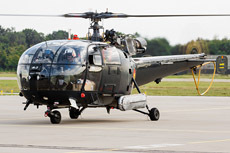 The Light Aircraft Group did not longer exist from that time and was taken over by the Air Force under the name Royal Netherlands Air Force Tactical Helicopter Group (THG-KLu). 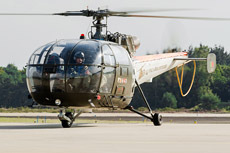 The Allouette III fleet was reduced to five helicopters by the introduction of the new helicopter types. The helicopters stayed in use for VIP transport task. 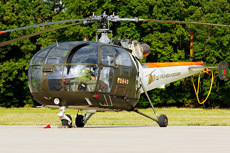 The largest user of the Allouette III was her majesty Queen Beatrix. 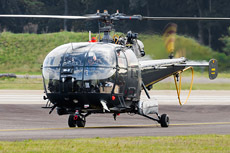 Besides this task the Allouette III also received the task of aerial photography for the Dutch Defense. 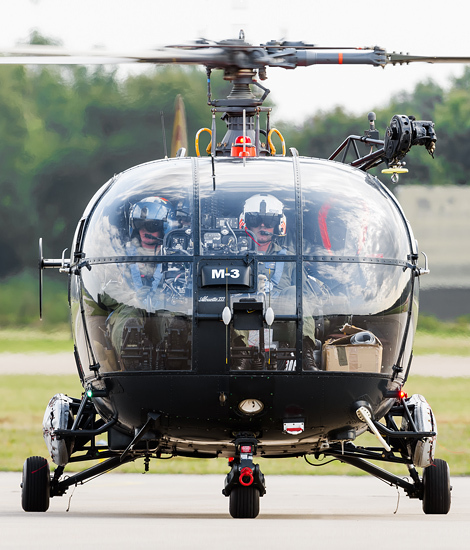 In the recent years the Allouette III is also used for the training of pilots of the Defense Helicopter Command (DHC). 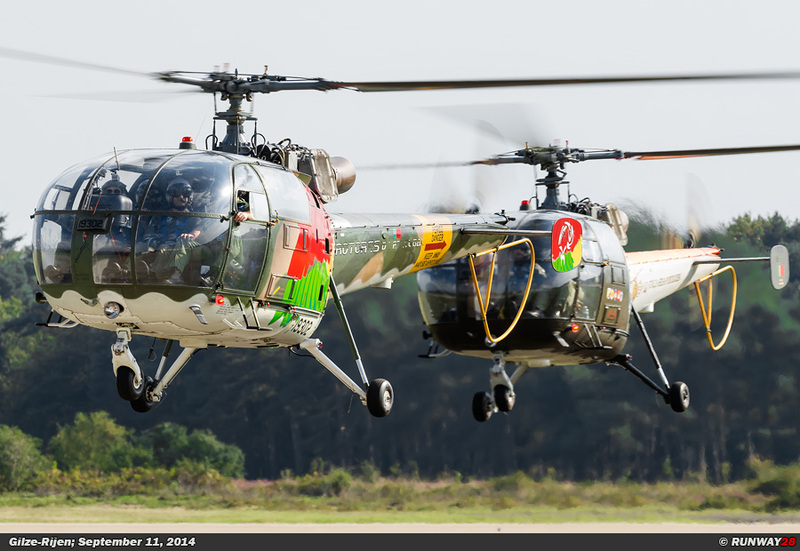 The four operational SA316B Allouette III helicopters are the A-247, A-275, A-292 and A-301. 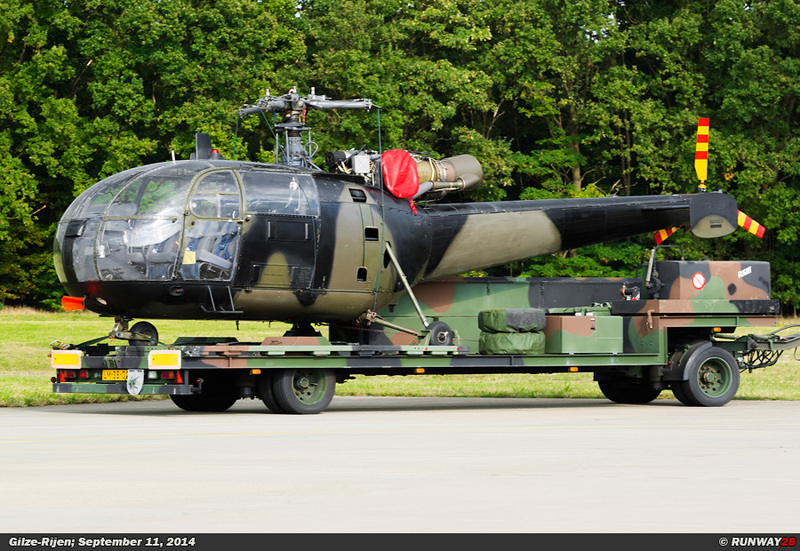 The fifth Helicopter A-253 was retired several years ago. 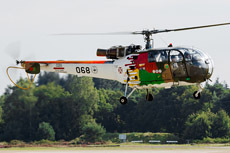 The Allouettes are assigned to the no 300 Squadron at Gilze-Rijen. Today the Allouettes are painted in a dark blue color scheme with some orange edges. 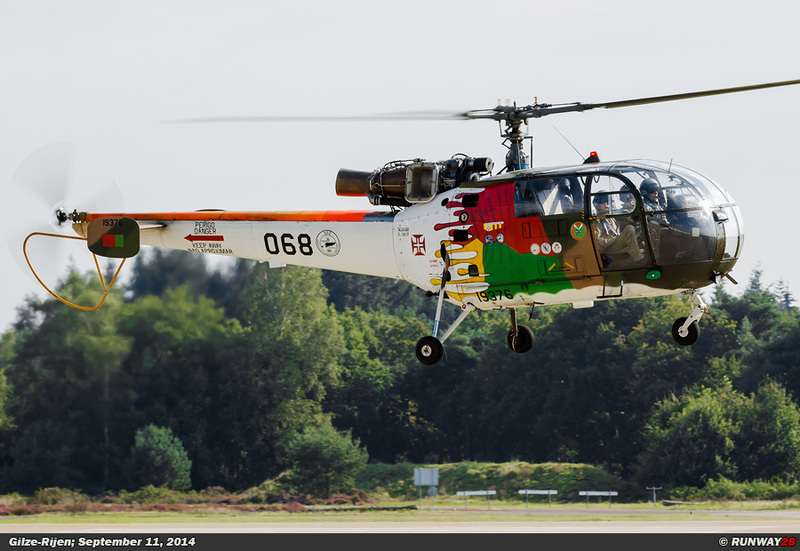 The current color scheme is the color pattern of the Dutch royal family. The expectation is that the Allouette III is going to be phased out in a relatively short term after more than fifty years of operational service. 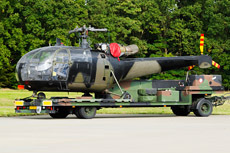 If a replacement will be purchased for the Allouette III is not yet known.